Sultanas belong to the grapevine family. In their dried state the large, seedless berries are bright yellow. The grapes are harvested from the vine when they are overripe and dried in the sun or mechanically in special drying plants. 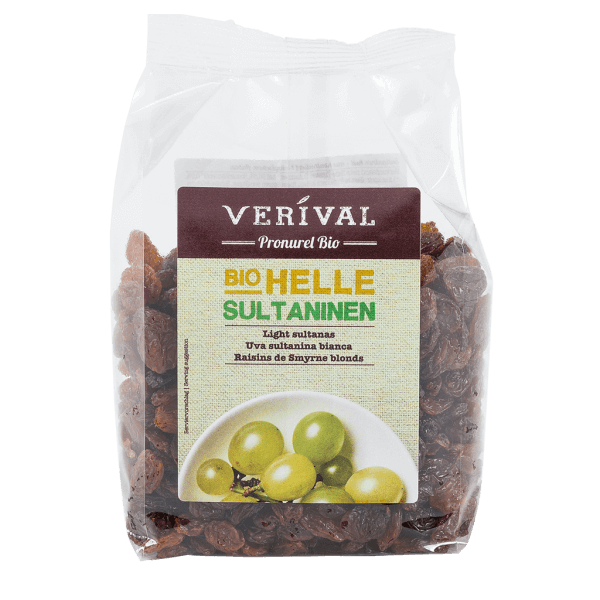 The taste of sultanas is very sweet due to their high sugar content. Sultanas are used in baking, for mueslis or salads, and as an ingredient in many cooking recipes. Light sultanas* 99,5%, vegetable oil* 0,5%.